Nottinghamshire Women’s trio Sonia Odedra, Georgie Boyce and Amy Gauvrit will join a wide range of English and international talent after being selected in the Loughborough Lightning squad for the upcoming Kia Super League. Odedra, the Women’s captain, Boyce, an England Women Development Programme member, and Gauvrit will join allegiances with the likes of Ellyse Perry, the number one ranked all-rounder in the world. With a number of the best Twenty20 players in the world coming to England for the inaugural Super League, Boyce believes it can only be beneficial for the game. "It is a brilliant opportunity for me to widen my cricketing experiences and play with, and against, some of the best players in the world," said Boyce. "The competition can only be good for cricket and it is another step in the right direction for my game." 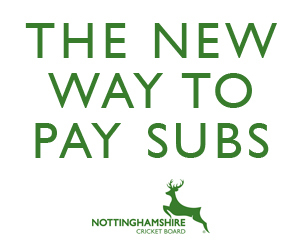 The Nottinghamshire trio will join the likes of New Zealand’s Sophie Devine, renowned for her powerful ball striking and Dane Van Nierkerk, ranked number two in the ICC player rankings for all-rounders. Their third overseas, Perry, says the first English T20 league, on the back of the success of the Australian version. is welcome development for the game. “Having the Kia Super League follow the Women’s Big Bash League in Australia speaks volumes for the brilliant effort that Cricket Australia and the ECB are putting in to continue to develop the women’s game,” she said. The Loughborough side will also contain a strong Loughborough University allegiance, with current student Rebecca Grundy, joined by alumni Georgia Elwiss, Amy Jones and Beth Langston. “Loughborough University have played an integral part in helping me get into the England side so I’m really proud that I’ll play for the Lightning in the Kia Super League,” said Grundy. 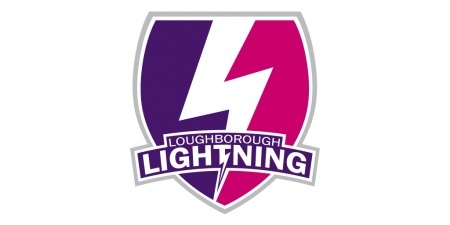 Loughborough Lightning squad: Georgia Elwiss (EW), Rebecca Grundy (EW), Amy Jones (EW), Beth Langston (EW), Evelyn Jones (EWA), Alex MacDonald (EWA), Dane Van Nierkerk (O), Ellyse Perry (O), Sophie Devine (O), Georgie Boyce, Thea Brookes, Amy Gauvrit, Lauren Griffiths, Sonia Odedra, Paige Scholfield.